1. I love to support the vim squad. Akosua Adoma Owusu is proper vim squad ankasa. 3. I love Ghanaian history so much I managed to relate my architecture thesis to Asante history. Akosua Adoma Owusu wants to restore a historic piece of the city of Accra. Yay! 4. I’m a HUGE Kweku Ananse fan. It has nothing to do with the fact that I was born on Wednesday, or that some misguided people call me mischievous. 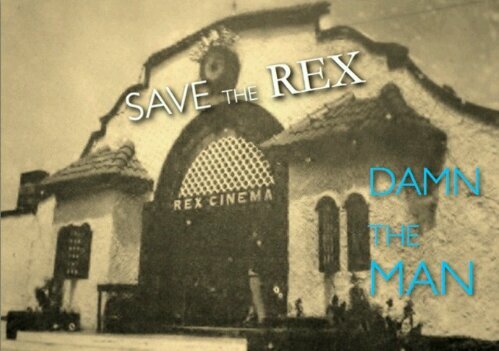 Amanfo) … Akosua Adoma Owusu wants to save the Rex Cinema from being turned into a warehouse or something horrible. This blog post is especially for people like me. We don’t have credit cards but we have some five and ten cedis to contribute. If this is you, let me know. We’ll perch on someone’s credit card. Oh… and Akosua, or any other interested person… My friend Sarpong did a conceptual design for a Kweku Ananse Cinema. When you become disgustingly rich, holla!